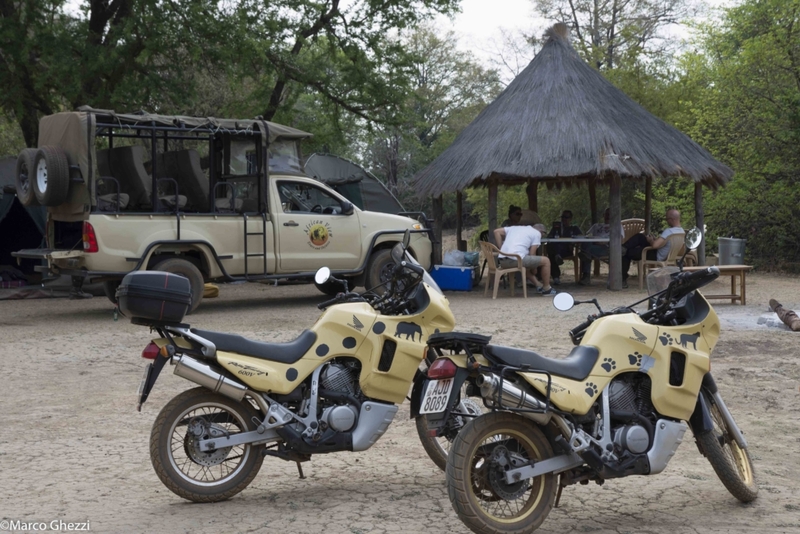 African View Tours and Safaris confirms its reputation of “Adventure Safaris” Expert Operator with this unique outlook on the standard safaris. 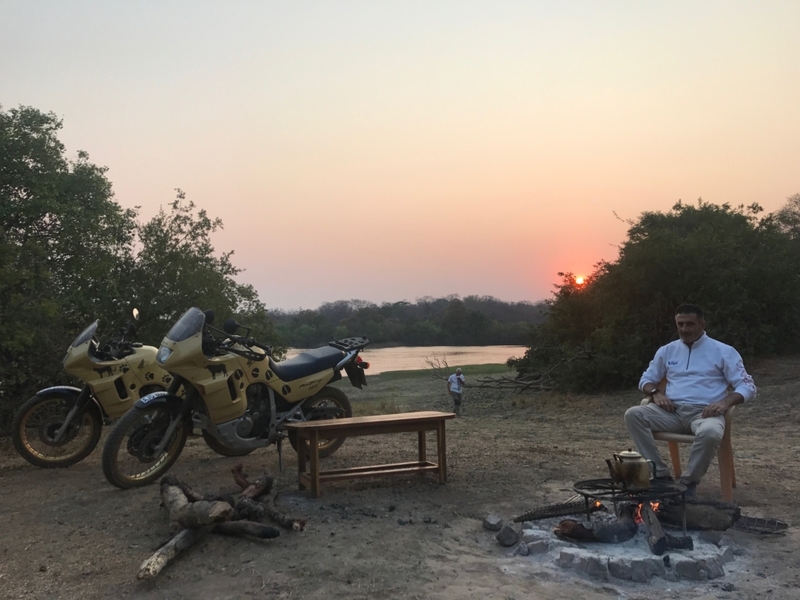 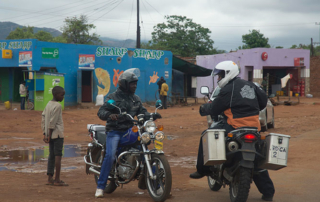 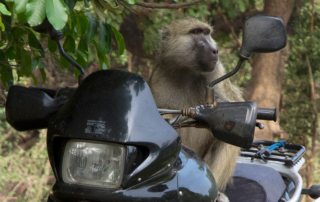 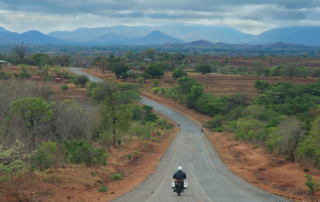 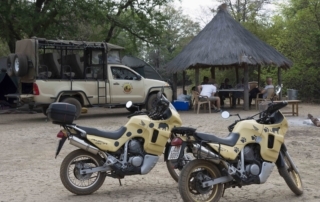 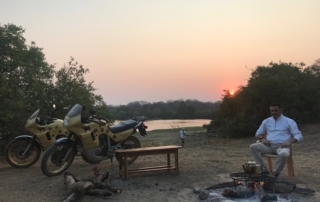 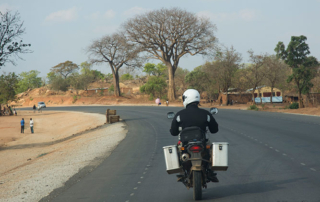 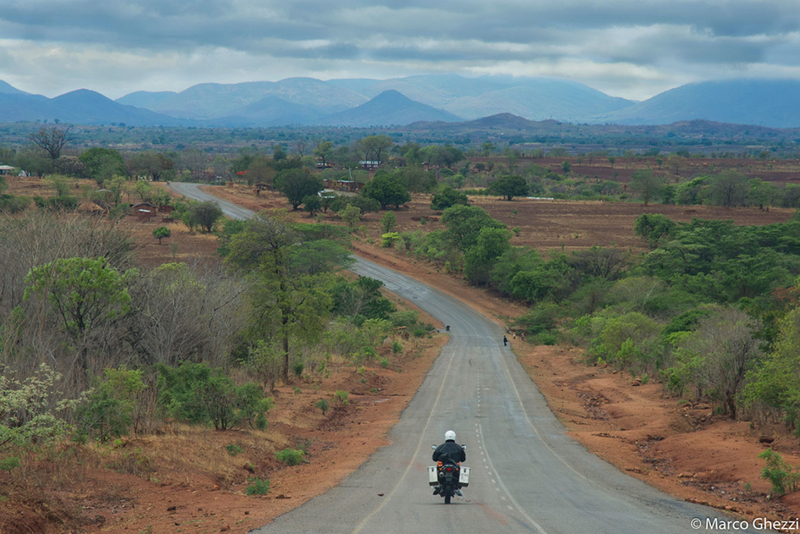 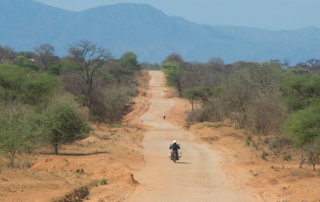 Motorcycle Safaris in this region are exclusive to African View Tours and Safaris, the only operator in the area to own a motorcycle park exclusively dedicated to this type of activities. 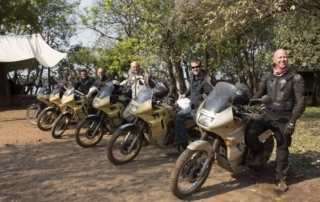 Our Motorcycle Safaris represent an even more exciting way to explore the natural and cultural beauty of this region; dedicated to all those who love adventure and motorcycles, these safaris have been developed by experts in this area who are able to carefully balance action, adventure, exploration and genuine interactions with the local population. 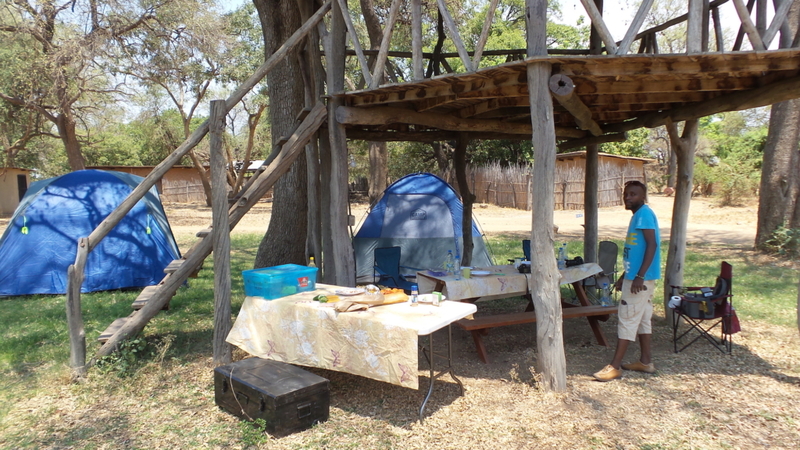 Itineraries are not extreme, in order to give everyone the chance to try this magnificent experience. Tours are based on two levels of difficulties: “Easy” and “intermediate”. “Easy” itineraries are done mainly on tarmac roads, with short stretches of gravel and off road that are no longer than 50kms each time. 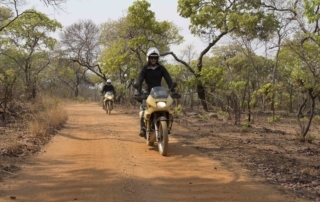 “Intermediate” Itineraries are mainly taking place on gravel or off road, with stretches of sand, gravel and village trails. 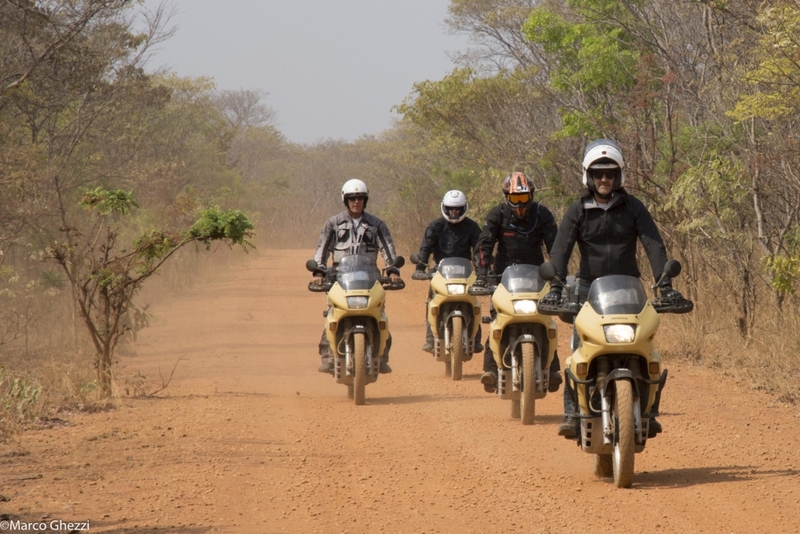 The motorcycles used for these tours are reliable Honda Transalp 600cc with “On&Off” settings that make them light, fast and prompt to respond on any type of roads. 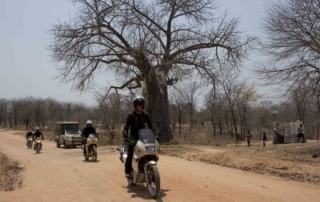 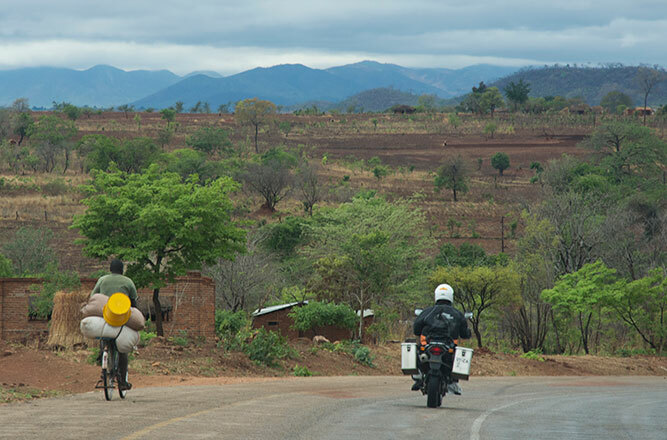 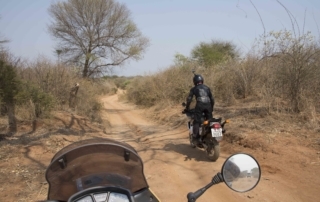 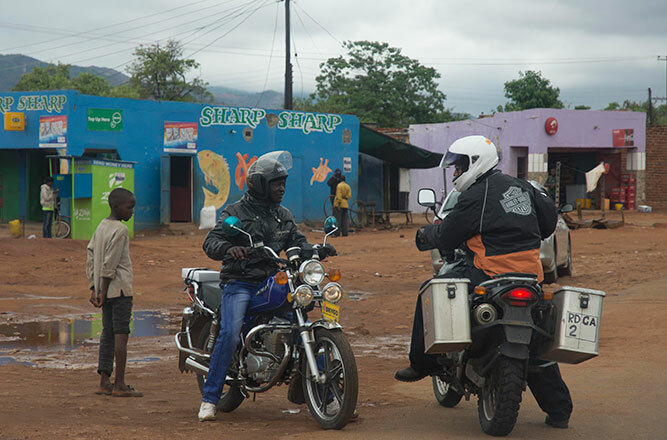 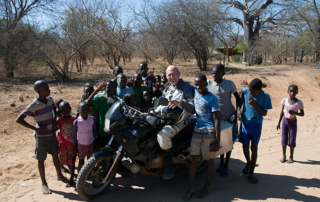 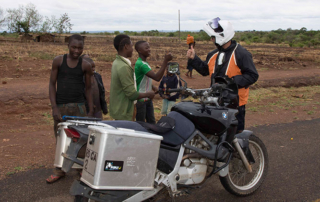 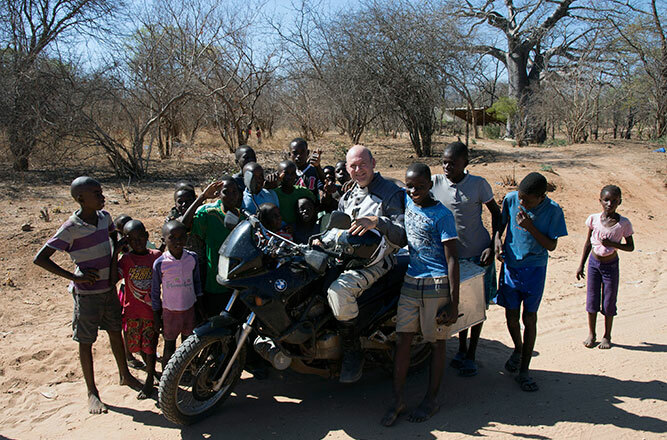 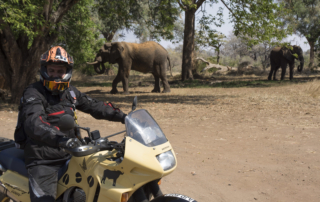 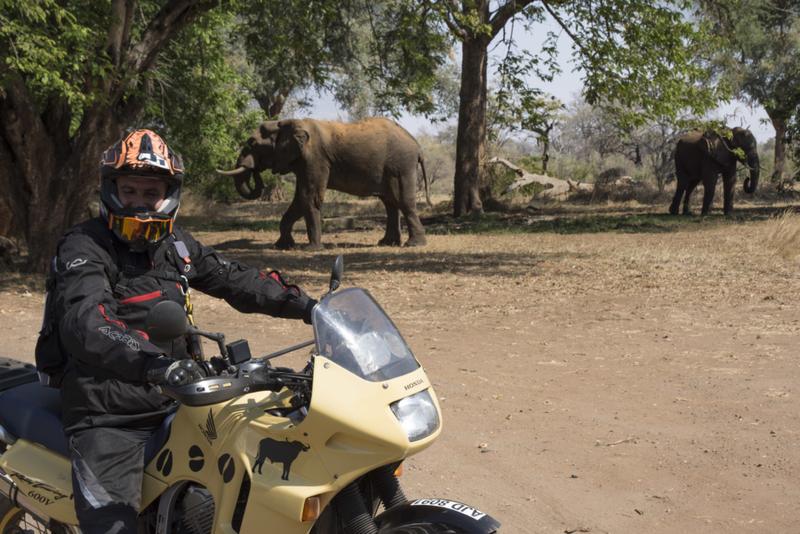 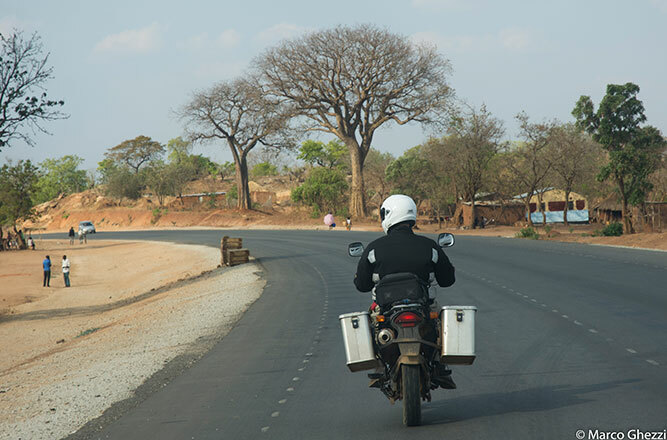 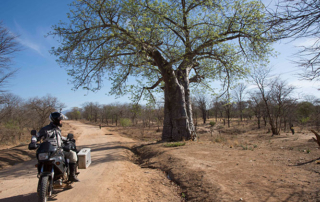 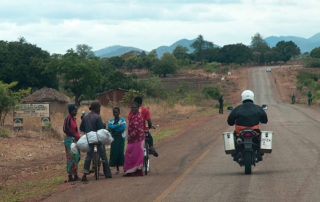 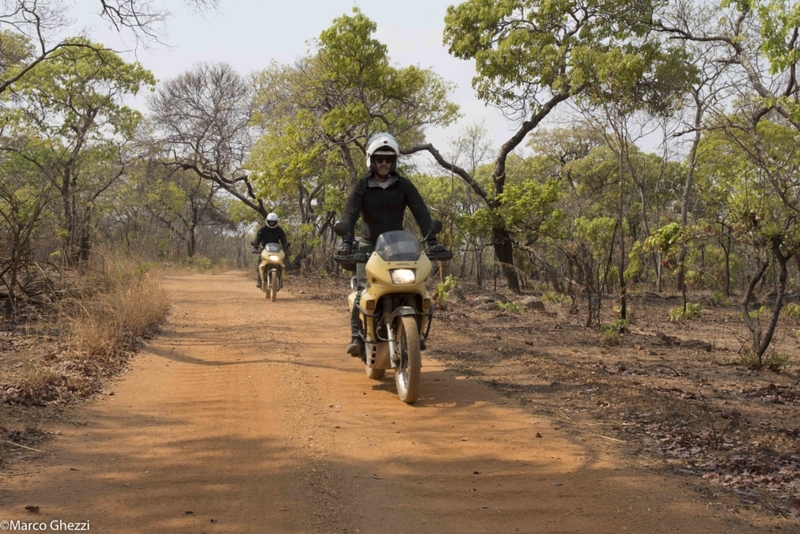 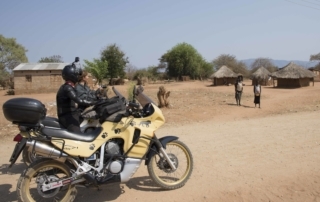 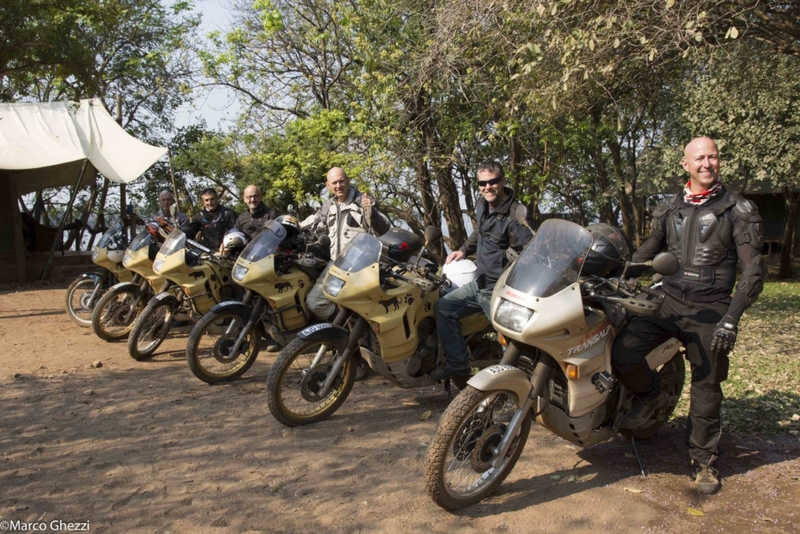 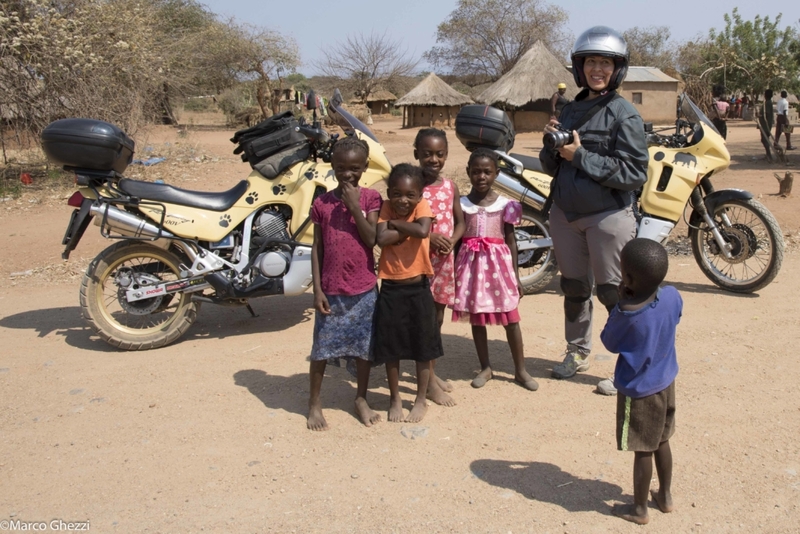 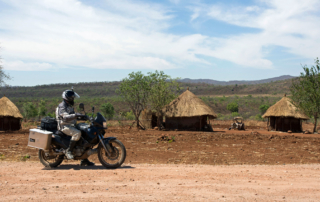 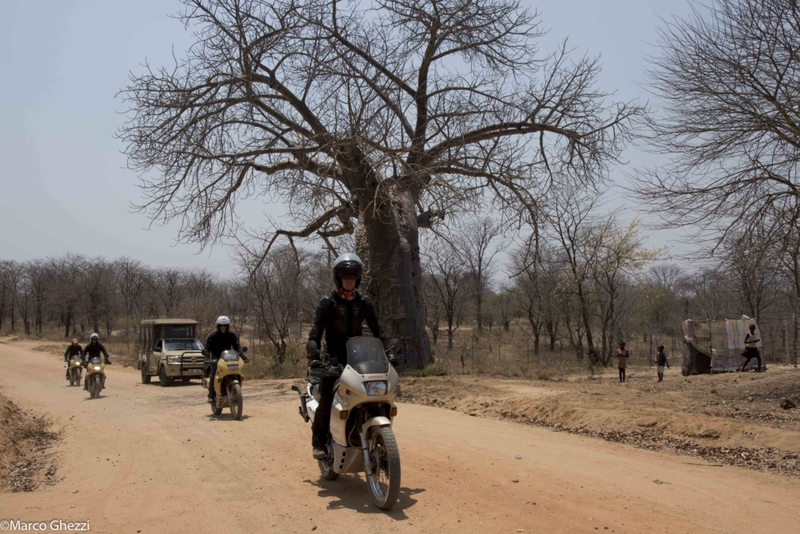 Every motorcycle safari is led by an international Motorcycle guide and is followed by a Support 4×4 vehicle that provides assistance, transportation for luggage, transportation of eventual passengers who might decide to take a break from the motorcycles, and to conduct game drives in the areas of the parks that are not accessible to motorcycles. 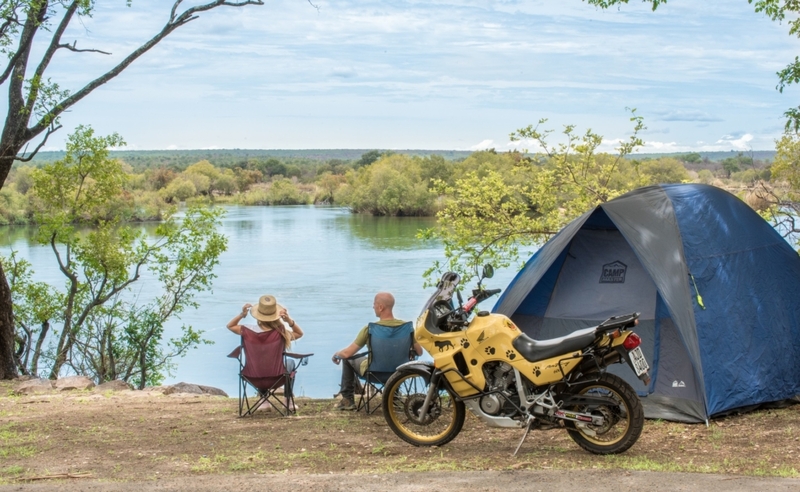 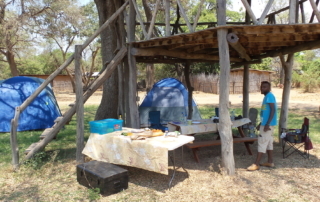 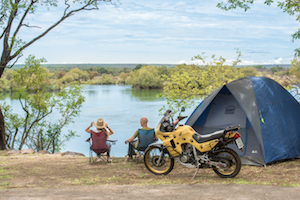 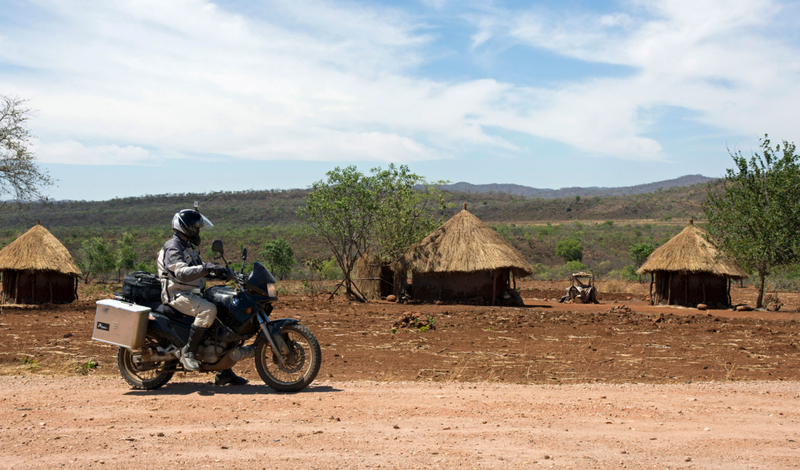 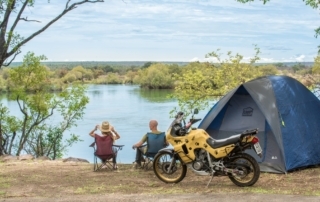 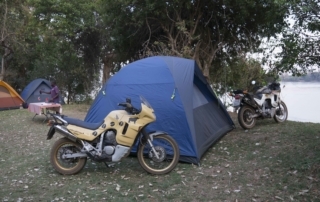 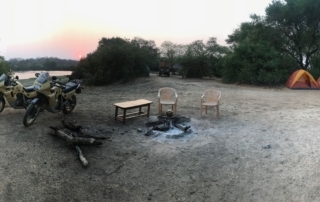 Accommodation during the Motorcycle Safaris can be either camping or lodging. 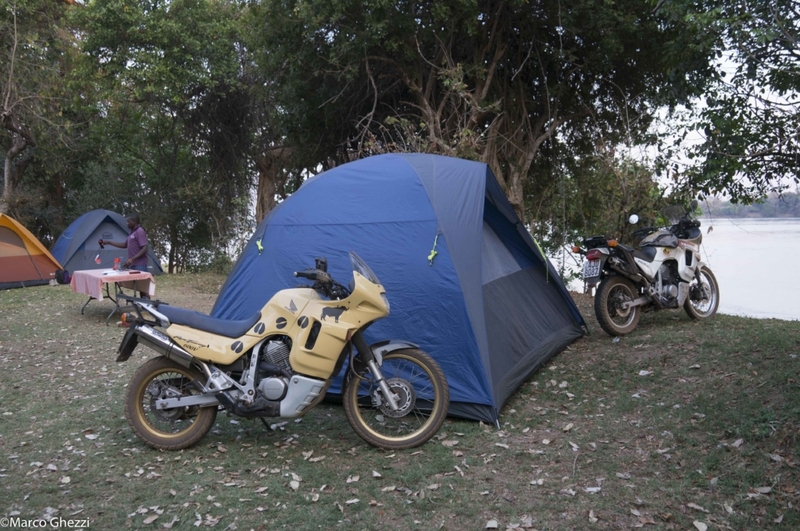 While Camping, a camp assistant and a chef will manage the campsite, so the riders can only focus on the most interesting aspects of these adventures.